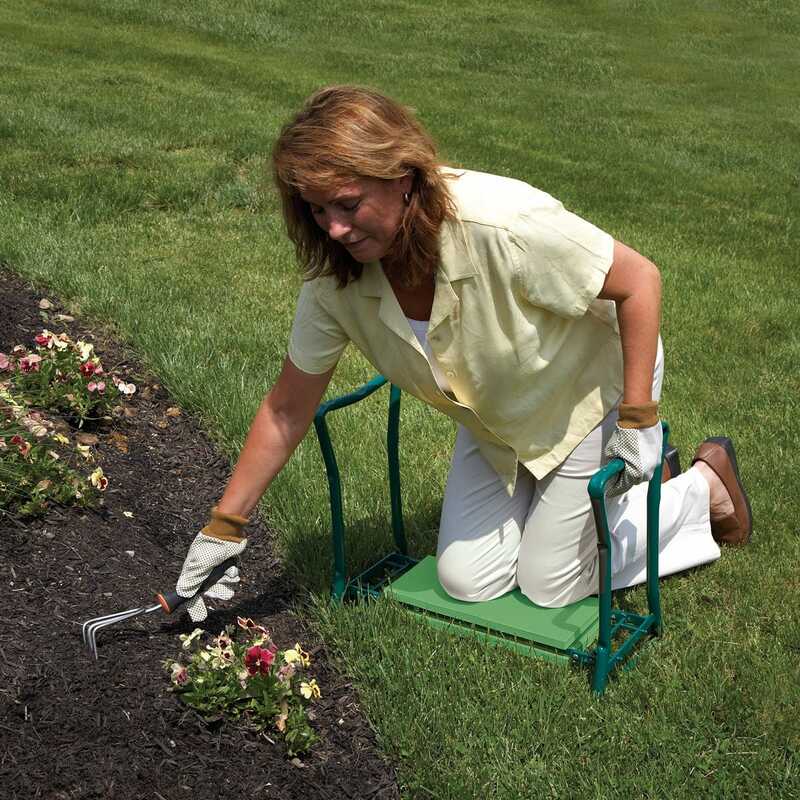 Kneeling to do yard work can be a real pain in the back—and knees! 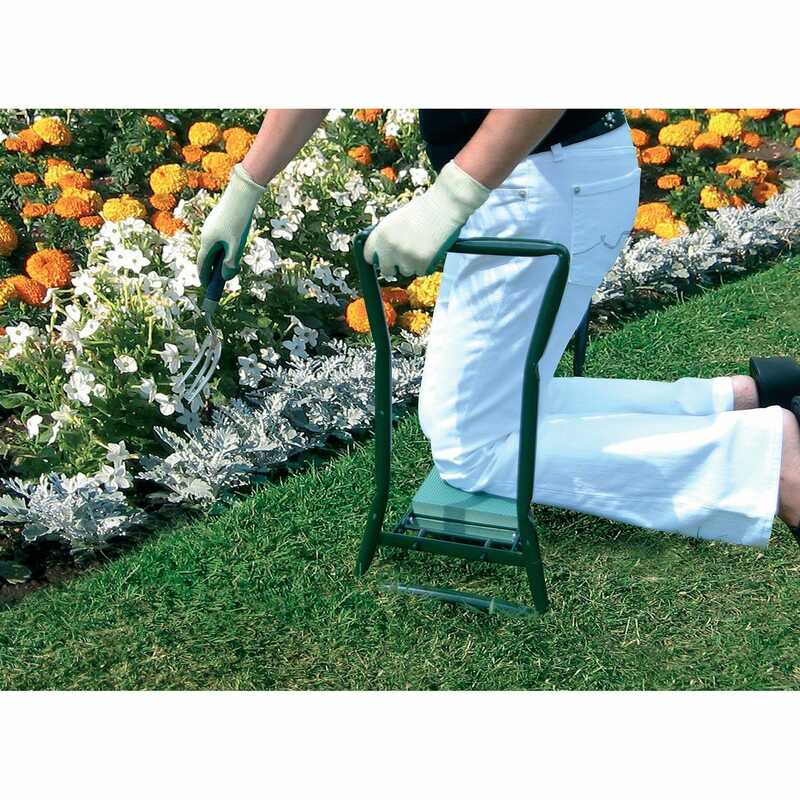 End the discomfort with our multi-purpose Garden Kneeler/Seat. 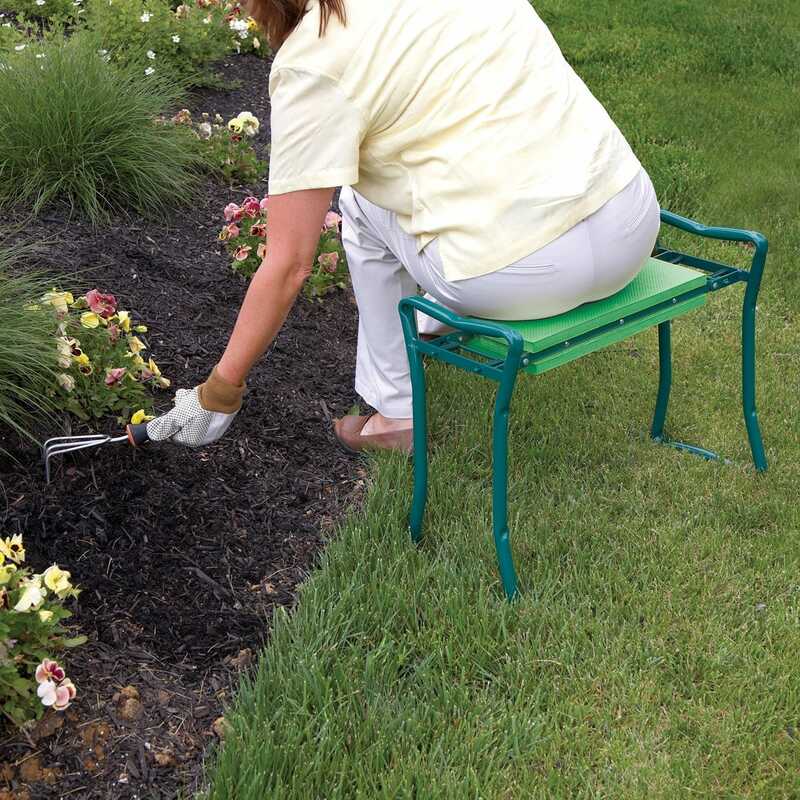 The ¾" thick foam pad cushions your knees from rocks, mulch, the hard ground, etc. 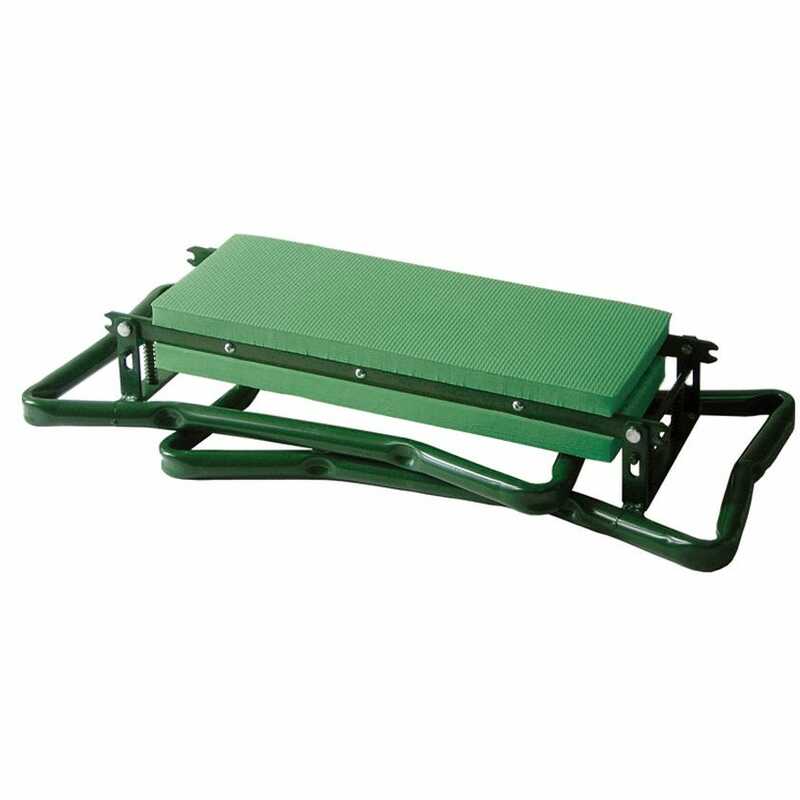 Use the sturdy legs to lift yourself up and flip the Kneeler over to use it as a seat—great for household chores, auto, garage, etc. Folds flat to about 5"w for portability and storage, and weighs just 6 lb. All-steel construction with attractive forest green anti-rust finish is made to last—don’t confuse with cheaper imitations! 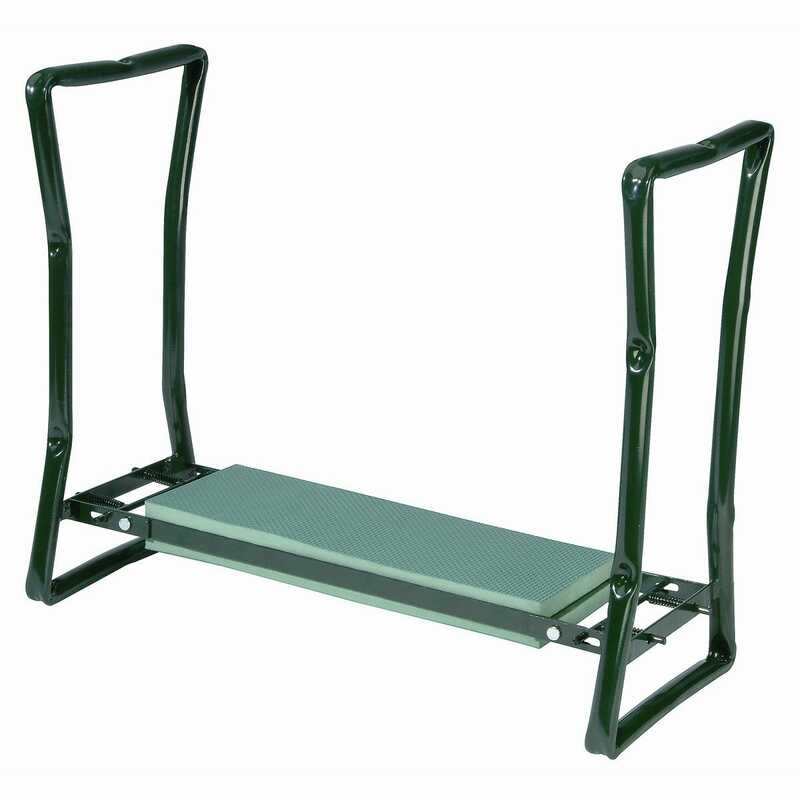 Supports up to 250 lb. 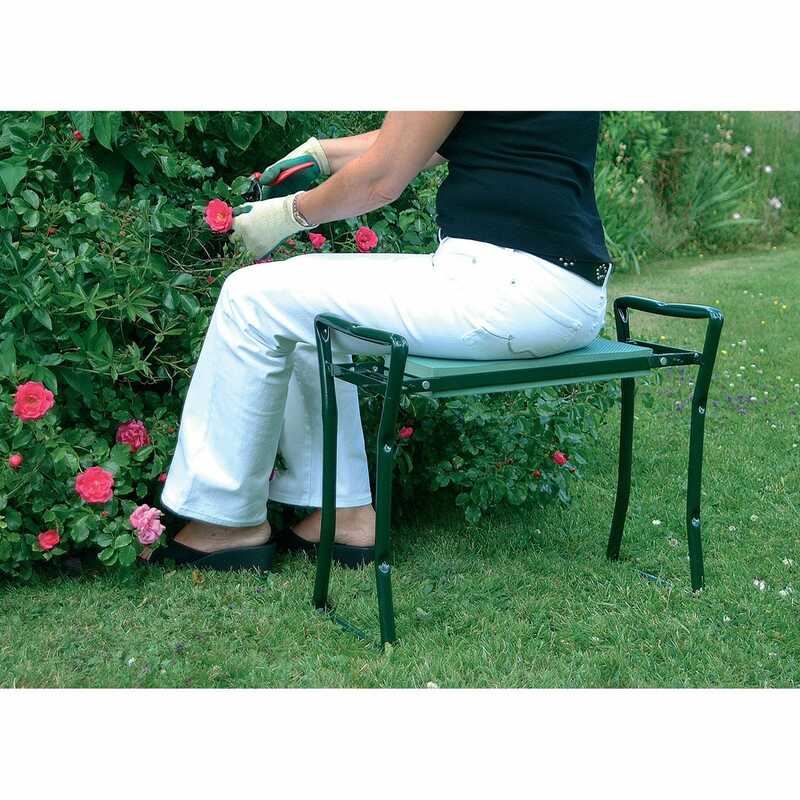 Measures approximately 24"w x 19"h x 10 3/4"d.